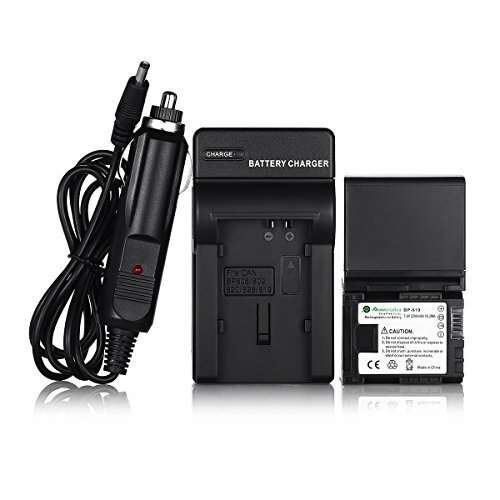 This Replacement Battery is Designed for Canon BP-819 Camcorders,It is a kind of Li-ion Recharageable battery,you can carry it anywhere anytime, convenient to use.And it's has no memory effect. Can be charged or discharged as needed without loss of capacity. Compatible Model:Canon XA10, Vixia HF G10, HF M40, HF200, HF10, HF20, HF S21, HF M41, HF S100, HF S200, HF M400, HF100, HG20, HF S20, HF S30, HF S10, HF11, HG21, HF S11, M31, M300, M30, CG-800. All products come with our Powerextra is 30 days money back 12 months limited guarantee against manufacturer defects from date of purchase,and 24 Hours friendly customer service! YOU ARE WORTH IT !! Products come with our Powerextra is 30 days money back ,and 24 Hours friendly customer service! View More In Camcorder Batteries. If you have any questions about this product by Powerextra, contact us by completing and submitting the form below. If you are looking for a specif part number, please include it with your message.